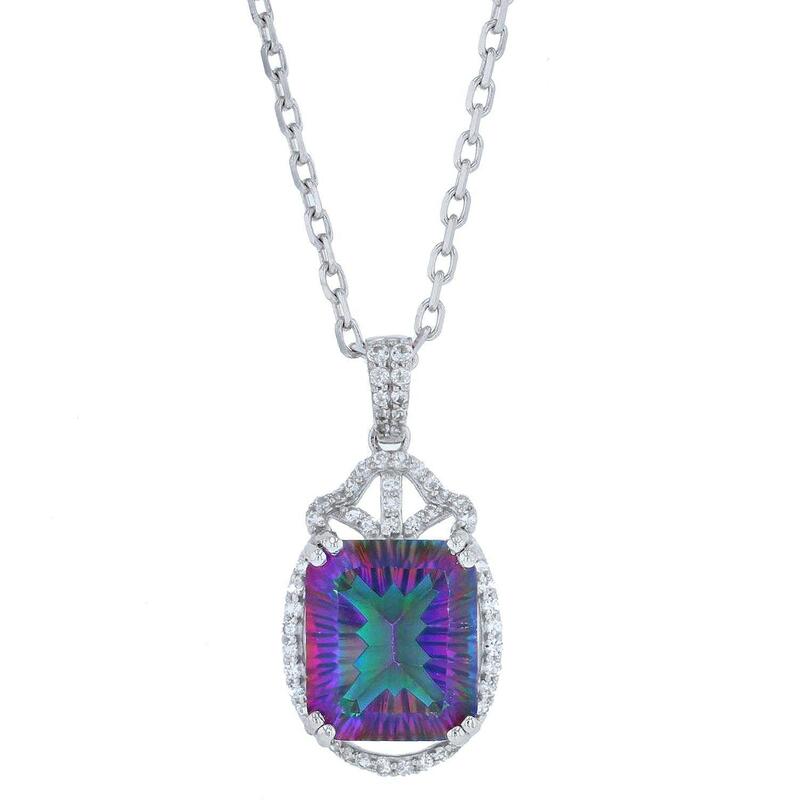 One prong set radiant mixed cut natural mystic topaz, measuring 14.00 x 12.00 x 7.80mm, approximate weight of 9.06ct., clarity is eye clean, cut is good. Fifty-two prong set round mixed cut natural white topazes, measuring 1.30 - 1.00 x 0.75 mm, approximate total weight of 0.52ct., clarity is eye clean, colorless, very slightly grayish, white color, (GIA W 0/3), cut is good. Total Weight of Colored Stones 9.58 ct.